What is a bumbleshoot? Or a moonbow? And what does it mean when someone absquatulates...? 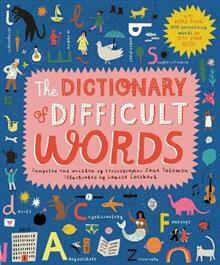 Find out all this and more in the Dictionary of Difficult Words. Test your knowledge with more than 500 words to amaze, confuse and inspire budding wordsmiths (and adults). 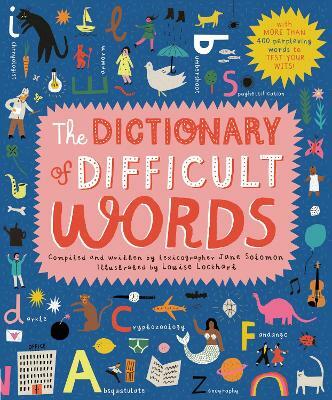 All of the words featured in this book are difficult to spell, hard to say and their meaning is obscure to most children (and most adults!) Written with simple, easy-to-understand definitions by lexicographer Jane Solomon, this dictionary celebrates the beauty of the English language for family trivia time spent around the printed page. Jane Solomon is a lexicographer based in Oakland, California. She spends her days writing definitions and working on various projects for Dictionary.com. She's a member of the Unicode Emoji Subcommittee, the group that decides what new emoji pop up on our devices. Jane has a twin sister who is also a lexicographer. Louise Lockhart is an illustrator living in an old mill in a small town in England. She spends her days creating designs from little paper cut outs and line drawings, dreaming up worlds where men still wear suits and hats. As well as working as a freelance illustrator, Louise also applies her illustrations to products for the home, which she sells in her online shop The Printed Peanut.